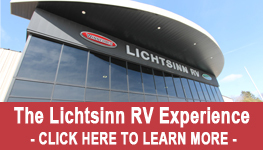 In the above video, Ben Follman - an RV Service Technician at Lichtsinn RV - gives an orientation of the Winnebago View and Itasca Navion motor home. The orientation includes information on the Mercedes-Benz Diesel chassis, CumminsOnan Generator, Rand McNally RV GPS Navigation system, OnePlace Control Panel, electric patio awning, and much more. Take luxury living on the road with the Winnebago View and Itasca Navion, and experience the performance, towing power, and fuel economy of the reputable Mercedes Benz Sprinter chassis.